Malanga Blanca, similar to a yam in appearance and a potato in flavor, is a root commonly used in tropical countries, much like the potato is used in temperate climates regions. 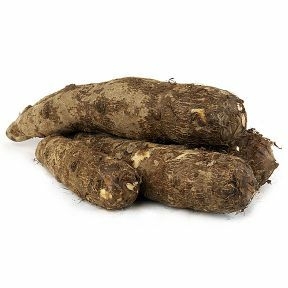 Malanga is also similar in texture and appearance to the taro and cassava, but has a woodsy taste with a hint of black walnut.. Especially common in Cuba and Puerto Rico, it is typically deep-fried as fritters or chips. 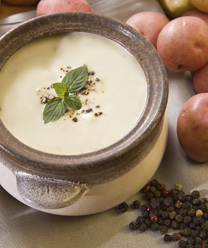 It can also prepared mashed, baked, boiled, or sautéed. J&C Enterprises, Inc. also carries Malanga Lila. Names: Malanga, Yautia, Cocoyam, Tanier, Tannia.